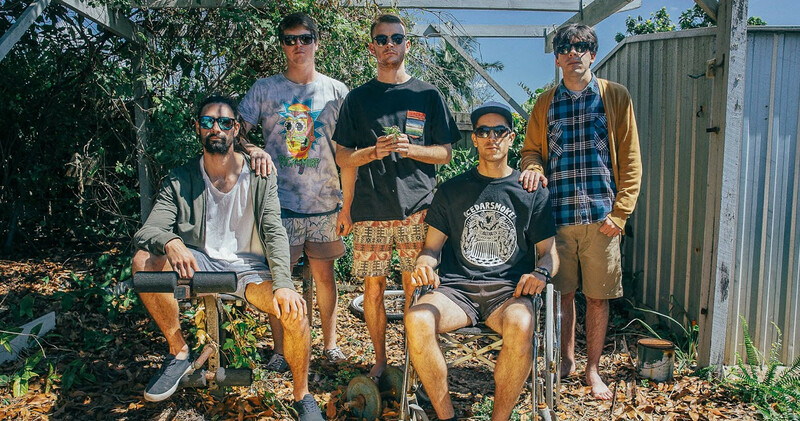 Grab a bit of charm and grace and rub it in the dirt, put some grease over it and you’ll have something like this Brisbane-based slacker-rock 5-piece, Cedarsmoke, who are releasing their new single ‘Let The Wind Blow’ (Out November 16). Since their debut in 2016, they’ve worked hard. They’ve released two 6-track EP’s and in July, followed those up with the luring and cynical track, ‘Waiting To Die’ (July 2018) – filled with joy and pain. Tackling the every day, picayune things of the average, down and out of luck characters, Cedarsmoke manages to spill out metaphor-laden lyrics that don’t beat around the bush. Despite these seemingly drab topics, their brand of rock rouses an enlivening and inspiring disposition. This new single ‘Let The Wind Blow’ – in their Cedarsmoke fashion – has the band aptly highlight the relatable mundane, circadian way of life. Imbued with a tender sense of despair, it cuts to the core about being tied down, trying to break away from “Invisible chains” and to ultimately to just let it blow and let it take you where it wants to. Cedarsmoke set this melancholic tone by blending quaint clean guitar riffs, wailing bends, melodically sweet keys and a generally upbeat vibe with the overdriven choruses topped by the gravelly vocals of Jonathon Cloumassis. Although this new single will see the year out, Cedarsmoke have plenty more to come at the beginning of 2019. For the time being, catch this smoke in the wind at the single launch on November 23 at Brisbane’s Netherworld. DEFRON ANNOUNCES NEW MIXTAPE ‘MAYBE YOU’LL BE FAMOUS WHEN YOU’RE DEAD’ OUT NOW!